Top-seed Virginia cruised to a 63-51 victory over 9-seed Oklahoma to advance to the NCAA Tournament's Sweet 16 for the third time in five years. 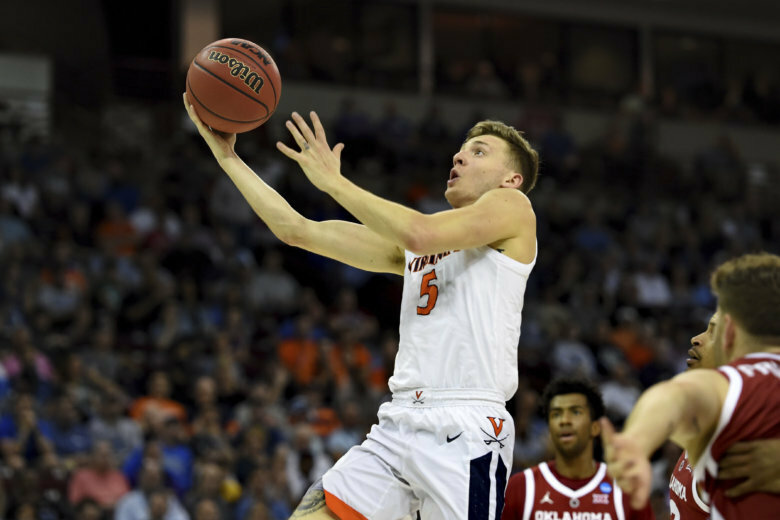 Top-seed Virginia cruised to a 63-51 victory over 9-seed Oklahoma to advance to the NCAA Tournament’s Sweet 16 for the third time in five years. The game was a marked improvement for Virginia, which last season became the first overall No. 1 seed to lose to a No. 16. The Cavaliers (31-3) didn’t have it any easier in this year’s NCAA opener and trailed by as many as 14 to No. 16 Gardner-Webb before rallying for the first-round victory. Virginia will face No. 12 seed Oregon in the Sweet 16 on Thursday in Louisville, Kentucky. WTOP’s Rob Woodfork contributed to this report.